I’m still purging books. This afternoon I shredded two modern paperback translations of Juvenal and turned them into PDFs. Both were new, and both are disposable. But I’ve been caught out slightly. The next volume was a battered old copy of J. C. Pollock’s A Cambridge Movement (1953), in blue cloth cover. It’s a history of Christianity at Cambridge. As I was finishing, I noticed that a name on the fly-leaf was unclear, so I rescanned the page. The name seemed to read “Terrence B. McMullen. July 1953”. 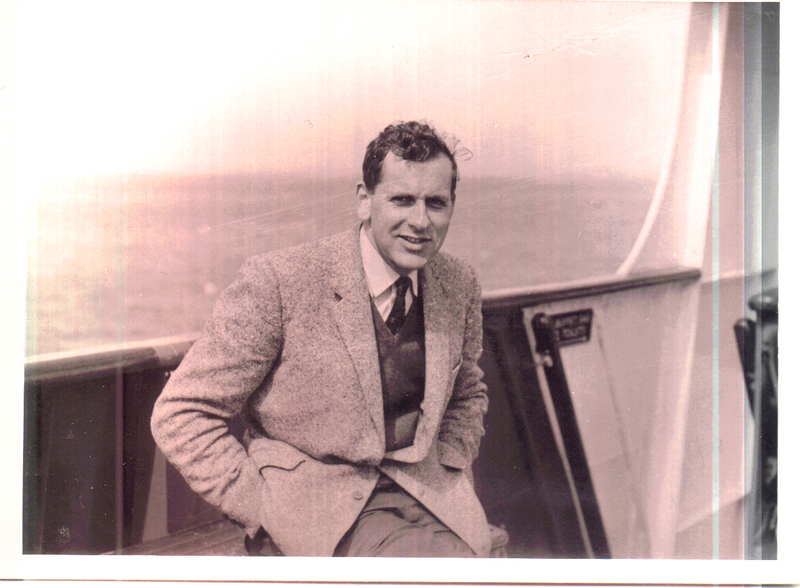 TERRENCE McMULLEN was Headmaster of Elstree School for 26 years. He was one of the outstanding prep school headmasters of his generation. He planned and led a period of significant growth in many aspects of the life of the school, and is remembered with affection and respect as a faithful, caring and diligent teacher and administrator. He lived a valuable life, it seems. A soldier, a Christian, who became a very respected headmaster. McMullen. Terrence Brian, TD, MA on 26th July 2004, aged 71; peacefully at home after a short illness borne faithfully, courageously, calmly. Dearly loved; husband of Margaret, father of Mark, Jonnie, Rachel and Debs, grandfather of Daisy, Willa, Felix, Grace and Eliza, brother of Morrice, Susan and Norman, and of many friends. Much respected Headmaster of Elstree School (1969-95). Private family funeral at St. Peter’s, Woolhampton. Thanksgiving Service, Thursday, 19th August 2004 at 2.30 p.m. St. Mary’s, Funtington (dress cheerful). No flowers please. Donations, if desired, for St. Mary’s Funtington Extension Appeal or Tear Fund, sent to Edward White & Son, 74-77 St. Pancras, Chichester. Tear Fund is The Evangelical Alliance Relief Fund, so this too is right. McMullen was evidently at Cambridge as an undergraduate in 1953 when the book appeared, and had lived through some of the events described. He was one of us. It sat on his shelves all his life, and was disposed of with his books in 2004. Some years later it came to me, and has probably sat on my shelves for a decade. Now it’s a PDF. I wish that I had known this. I would have preserved his book, battered as it was. In future I must be more careful. I have found the attached which is probably a bit after his time at Cambridge but might be a good one to post. Memories of Dad, wow, so many and too many to write. He was the most amazing father with outstanding morals and Christian values. I blame him for my chocolate addiction and for my love of skiing, sailing, card games, in fact all games including sports and board games! If I have inherited just a few of his qualities I will be happy. The world is a much smaller place than we realise. While I understand the impulse– and probably would’ve put the book back together (looking at the wall of kid’s books behind me, badly)– you have preserved it. For so long as those images survive. Perhaps hold on to it until the copyright passes, and publish it? Exactly. It’s a great pity that a useless copyright obstructs its circulation. Goodness gracious me! Thank you so much for dropping by. I’ll drop you a line off-line.